The following is normally the first screen after we click NETFILE button. Just follow each guide and click Next button, we can see there are some information to show related information. For example: we get to know the StudioTax will not transmit your name , dob changing, address changing, direct deport information starting etc. We will have to contact CRA or use the My Account service. We might see some warning or error message during the process, you have to be aware of the message here, to make sure you do not have unfixed errors. Here is the screen to be ready for Transmit. 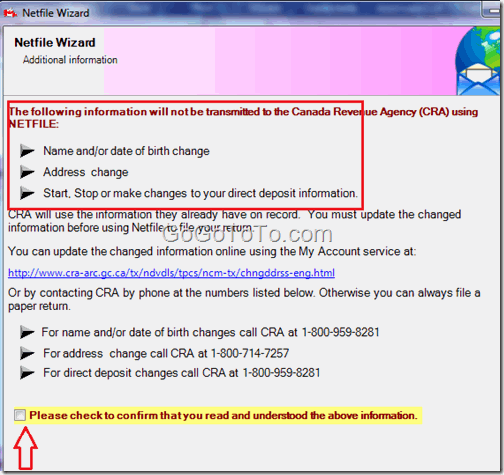 But please check all settings very carefully.The click Transmit button to submit your .tax file to CRA canada. 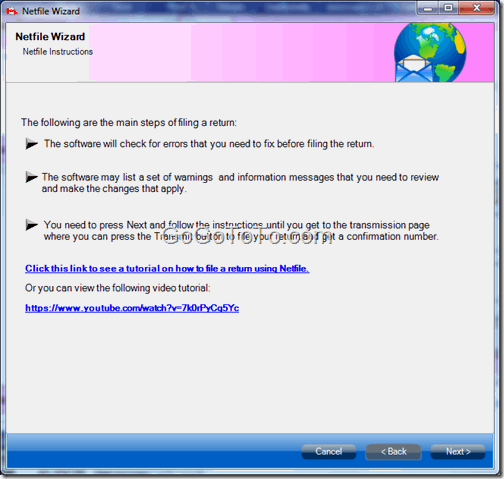 If there is any error existing in the StudioTax, you will get an error message like the following one. 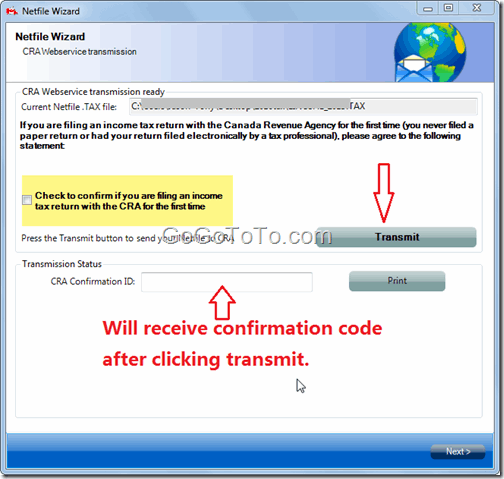 Then you will have to go back and review if any mistake when you filled all related information. For our case why we saw the Transmission Failure was just because we input wrong birth day for one of our family member. After we correct the information, the transmit process transmitted successfully.